Digital Photography Review have published a full review of Olympus' flagship Micro Four Third camera. 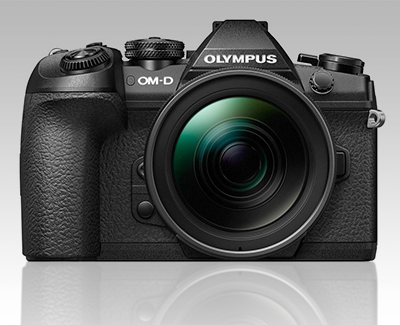 "The Olympus OM-D E-M1 Mark II is befitting of the term 'flagship,' and performs every bit as quickly as such a title implies - and it should, given the $2000 MSRP (body-only). In terms of outright speed, the E-M1 II is unmatched in the world of Micro Four Thirds cameras, and gives many higher-specced cameras with larger sensors a run for their money. But the fact remains, the sensor in the E-M1 II is only a quarter of the size of a full-frame, 35mm-sized sensor, and you can purchase a camera with one of those larger sensors for less money." "The E-M1 II's build quality is top-of-class. The body is made of aluminium and magnesium alloys and feels sturdy. Everything is weather-sealed and the camera proved itself in the continuous rain and cold weather in Iceland." "Ergonomics are about as good as its gets. The grip is just right, allowing for one-handed shooting with lighter lenses, and the front and rear dials are perfectly placed. The camera is a customisable to the point where it's over-the-top. Twelve buttons and dials can have their function changed, with separate settings for still and video shooting." "Its biggest feature is undoubtedly its in-body 5-axis image stabilisation. It can reduce shake by a claimed 5.5 stops. 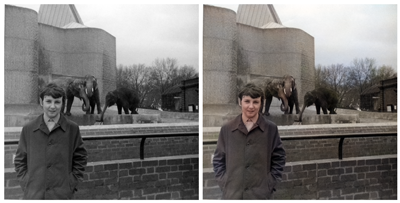 We've been able to take handheld 2 second exposures." 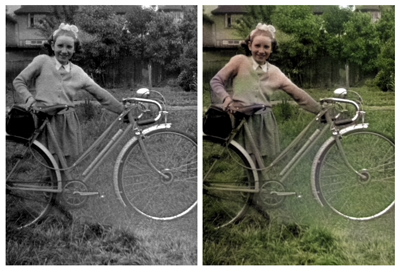 We provide a service that uses AI to automatically colorize black and white images based on "Let there be Color! : Joint End-to-end Learning of Global and Local Image Priors for Automatic Image Colorization with Simultaneous Classification" Iizuka and Simo-Serra et al. SIGGRAPH 2016. Thanks to Brook Jordan for the link. “The best camera is the one that’s with you”. This phrase, attributed to photographer Chase Jarvis, explains the impact that smartphone cameras are making on the world of photography. The cameras built into our phones may still be inferior to dedicated digital cameras, but they keep improving and have the advantage of being part of an item that we already carry around with us. 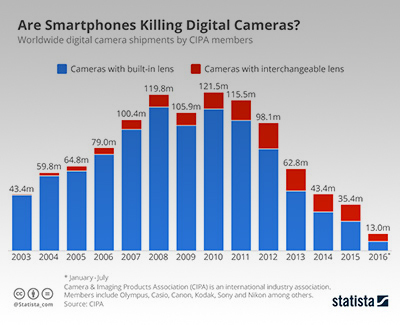 When the first touchscreen smartphones arrived in 2007 and 2008 members of the CIPA, an association of the world’s camera makers, shipped almost 120 million digital cameras. In 2015, CIPA members shipped 35.4 million digital cameras, down more than 70 percent from peak sales in 2010 – the year that Instagram was launched. Google knows where you are, what you’re doing, what you’re thinking and watching and searching for and chatting with your friends about. Which means nobody should be better equipped to soundtrack every second of your life than Google Play Music. The company’s taking advantage of its smarts to deliver you the sounds [it thinks ed.] you want. 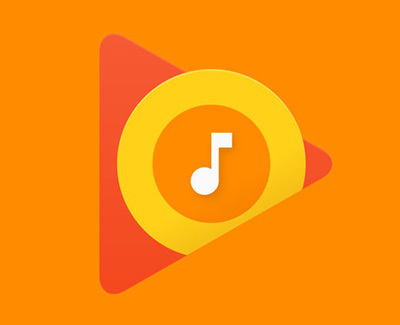 Next time you open Google Play Music on any device, the first thing you’ll see is a list of playlists you might like, plus a short description for why the app made any given selection. It’s a bit like Google Now, the predictive feed of everything you probably want to know about right now, except fully focused on music. Think of it as a super-smart, hyper-personalized set of radio station presets. Just open the app, tap one, and go. To do all this, the Play Music team is tapping into the full Google Data Machine for the first time. It’s choosing playlists by looking at the music you’ve listened to before, of course, but also your search history, your YouTube plays, even what’s in your email and calendar. It considers that data alongside things like time of day, location (a bar is different from a library is different from your office), the weather, and more. So you like classical at work, but you need a boost because it’s raining and you’ve been in meetings all day, plus it’s almost time to get to the gym? Play Music might show you Epic Movie Scores, followed by your favorite workout jams. 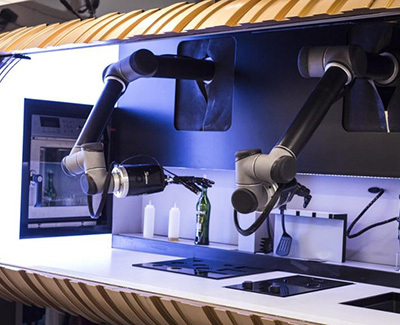 In 2018, Moley will launch the world’s first integrated cooking robot — a robotic kitchen that has access to a number of famous chefs and their recipes. And it will clean up after itself as well. Two articulated robotic motion capture systems record each movement of the master chef. Among the hundred dishes included in the beta version is Tim Anderson’s crab bisque, a particularly difficult recipe that requires striking the right balance between tomatoes, crabmeat and spices. It took Anderson five attempts to make this soup with the motion capture system. Once the movements have been recorded, the user can choose the number of portions, type of cuisine, dietary restrictions, calorie count, desired ingredients, cooking method, chef, etc. from the recipe library, before placing pre-packaged containers of measured, washed and cut ingredients on designated spots, and pressing 'start'.